The All Black winger fell asleep behind the wheel of the car he was driving on Saturday night. TOULON HAVE RESPONDED to “numerous comments” about Julian Savea’s car accident by stating that the winger was not drink driving when he flipped his vehicle. Savea’s wife, Fatima, revealed on Instagram that the former All Black crashed after falling asleep behind the wheel following Toulon’s Top 14 victory over Perpignan on Saturday. She said the 28-year-old was lucky to be “safe and sound”, adding that the ex-Hurricanes flyer is renowned for falling asleep “anywhere at any minute”. 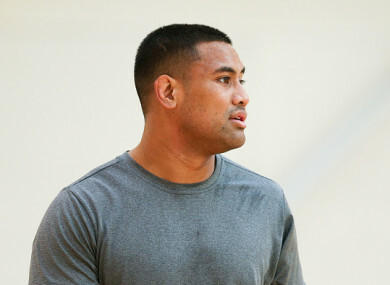 Toulon stated on Monday that speculation Savea may have been under the influence of alcohol was unfounded. “Following the numerous comments on the accident @juliansavea7, Rugby Club Toulonnais wishes to clarify that the blood alcohol test was negative,” the three-time European champions tweeted. Email “'The blood alcohol test was negative': Toulon set the record straight over Savea car crash”. Feedback on “'The blood alcohol test was negative': Toulon set the record straight over Savea car crash”.